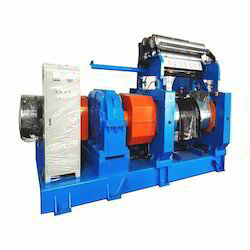 Two Roll Mill equipment is used to mix the plastics materials under sufficient amount of heat. used to prepare sample sheets from pvc granules for quick testing of raw material as well as insulation/sheath of cables in laboratory. confirm to various indian/international standards. Neoplast Two roll mill is equipped with attractive and user friendly control panel. Advance safety features. Torque measurement can be possible on both rolls. Trends like time < — > temp. & time < — > Amp. Can be viewed as well as printed. We are instrumental in offering Mortuary Chamber to our clients. The company has marked its prominence in offering excellent performing Mortuary Chamber. The Mortuary Chamber available with us is a double walled chamber with excellent refrigeration control. Our Mortuary Chamber prevents decomposition of dead bodies for a longer period of time. The Two Roll Mill with fixed speed and friction is laid out for constant working conditions. The machine is available with roll diameters of 150 mm. 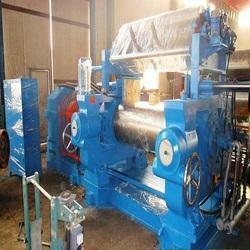 Special Two Roll Mills along with Electrical Heating System for LDPE / HDPE / PVC / ABS and other such related plastics. Completely digital Heating control along with all accessories is incorporated.